Great location. Just steps away from the bullring.Environment was clean and quite. Very comfortable stay for two weeks! Just like coming home. Kitchen is well equipped, studio room in adequate for couple, rather big space compare to most hotels in London. Laundry on site, gym, and a small lounge. Close to shopping center — Bullring. Parking behind hotel which is 5 GBP per day, quite reasonable, safe. Bathroom is spacious and towel heater provided. WiFi is exceptional! It was very quiet, I liked the design, shower was blissful and the location was close to New St. Station, art gallery and the canal. Great location and the view from the room was great. Breakfast was good and plentiful. Convenient, clean, welcoming staff. Newly designed, the room was spacious and had a great little equipped kitchen with full size fridge. While we did not avail of the breakfast, there were several places nearby to eat. The location is perfect, about 3 minutes’ walk from the city center. The room is large, and the bathroom water pressure is large and stable. When we got there, they gave us a room that didn't have two beds. However, they made it up to us by upgrading our room for making us wait. That's a classy move after making a mistake and I really liked that. 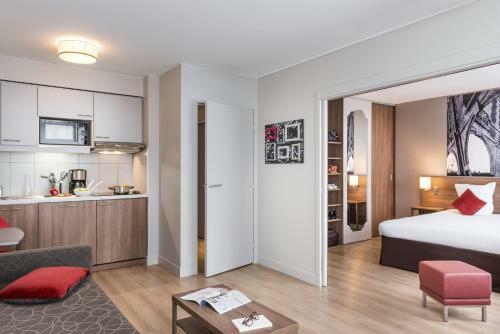 Other stuff: Room is right by the central station and the heart of downtown. It's spacious and cozy, it's definitely worth the price. Great location, went along with our two young girls and it was a great place to explore Birmingham. 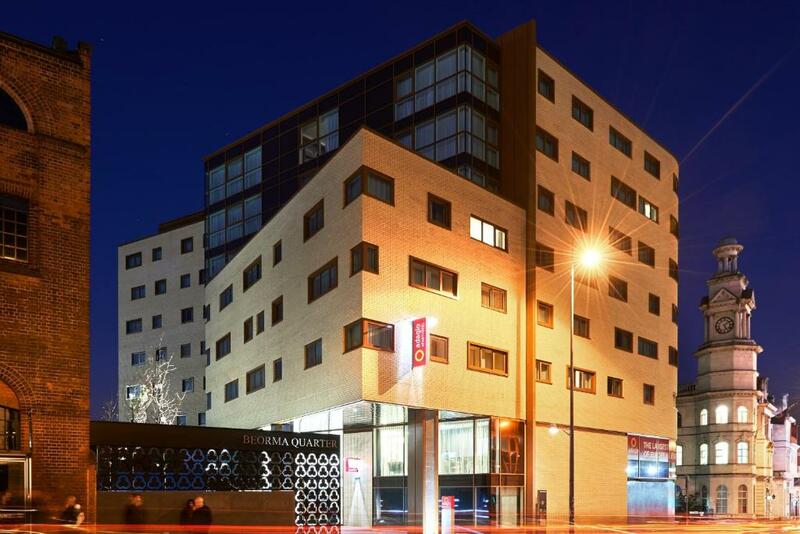 Lock in a great price for Aparthotel Adagio Birmingham City Centre – rated 9 by recent guests! 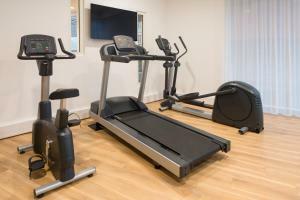 Aparthotel Adagio Birmingham City Centre This rating is a reflection of how the property compares to the industry standard when it comes to price, facilities and services available. It's based on a self-evaluation by the property. Use this rating to help choose your stay! Offering a free fitness center, Aparthotel Adagio Birmingham City Center is located 650 feet from the Bullring Shopping Center. Free WiFi is accessible throughout, and parking is available near to the property. Aparthotel Adagio Birmingham City Center provides guests with air conditioned studio and apartment accommodations. 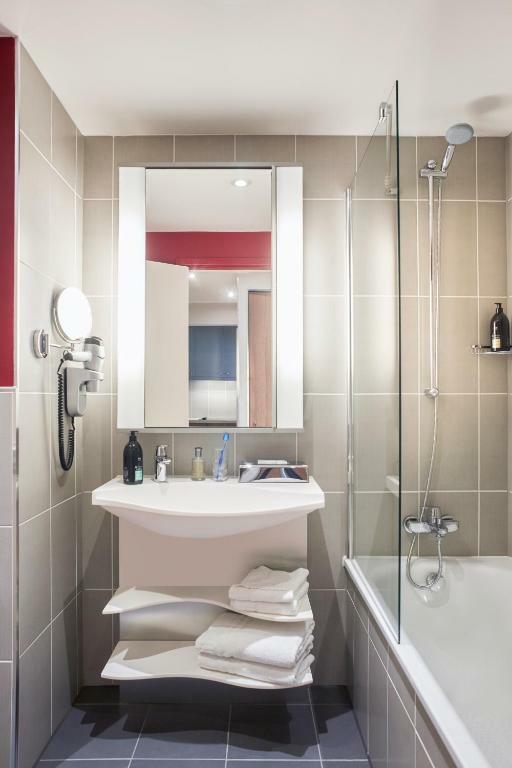 Each unit has a bathroom with bath or shower facilities and a well-stocked kitchen. All units come complete with a flat-screen TV. 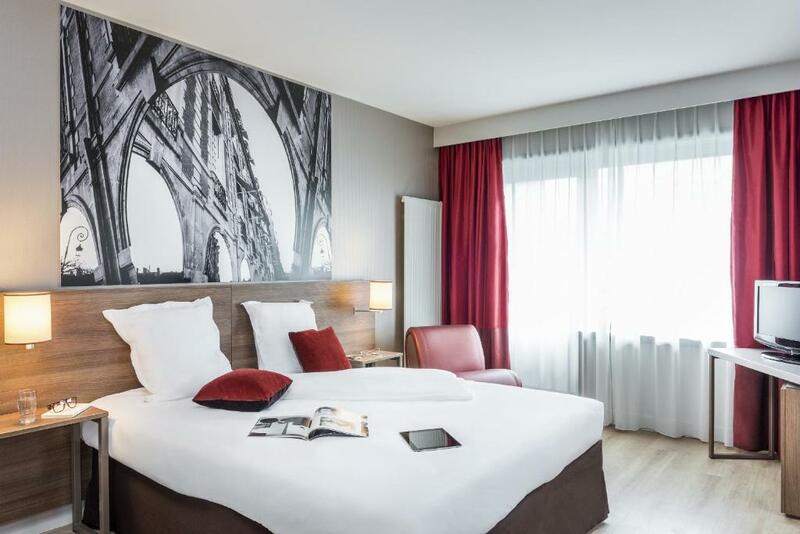 Birmingham Airport and The NEC are 8.5 miles from Aparthotel Adagio while Villa Park, the home Aston Villa Football Club, is a 12-minute drive away. When would you like to stay at Aparthotel Adagio Birmingham City Centre? This studio has a dining area, iPod dock and soundproofing. This studio features a stovetop, iPod dock and dining area. Our apartments have all the facilities you need to make you comfortable and safe : Fully furnished apartments with kitchen, hotel services. House Rules Aparthotel Adagio Birmingham City Centre takes special requests – add in the next step! A GBP100 damage deposit is required 0 days before arrival (about USD129.56). This deposit will be fully refunded at check-out, as long as there isn't any damage to the property. Aparthotel Adagio Birmingham City Centre accepts these cards and reserves the right to temporarily hold an amount prior to arrival. - For stays of 8 nights or more, a weekly cleaning service is included. - For stays up to 7 nights, optional cleaning service available on request. - Additional paid services include linen and towels or full cleaning service. Accommodations is free for children up to 2 years old if using existing bed or travel cot. There is no capacity for extra beds in the room. Please note, guests aged 17 years and younger must be accompanied by a guest aged 18 years or older. A damage deposit of GBP 100 is required. That's about 129.56USD. You should be reimbursed on check-out. Nothing! Well, price could be a bit better but we all want that! Brilliant new, clean, room, all facilities for a longer stay if you wanted, good quality soap and shampoo, spacious, could not fault it. Breakfast - pre- book as is then £10 rather than £13, a buffet so you can get good value! Good quality sausage, very well cooked scrambled egg, good overall selection, staff attentive and polite etc., again, could not fault it. Great location, facilities and friendly staff. The shower was really good too! location was perfect for the 02 and the shopping centre ! Nothing, couldn’t fault it at all! Excellent, I was up graded for free, the apartment was spotless clean. Very cosy little apartment with excellent facilities meaning you can eat in if you prefer. Really good value, with good city centre position. Requires to check out at 11, but did not imform us when we checked in. Charged us 10 pound for checking out late for an hour which was just 12. It’s unreasonable. Bit of a rough area, but that couldn’t be helped! Very convenient location and a great place to stay for a night near the station, that had a mini kitchen! The Nespresso machine was a nice addition. A receptionist called Antonio wasn’t the happiest upon arrival. We felt that he was quite rude and did not come across friendly or show that he was there to help. The double mattress was not the comfiest however, the sofa bed was.